Finance transformation is critically important issue for Chief Financial Officers and finance leaders, especially in an ongoing challenging business environment like one where SAP is used as the financial system of record. Looking to the future finance leaders need to consider that there are many opportunities to drive improved business results.Finance transformation needs to be considered as something moves beyond just delivering cost savings and process efficiencies. Many research results have demonstrated that most business leaders want the finance department to take a more strategic role in the management of the company. Becoming more strategic means moving the finance function further away from the pure scorekeeper role that it has played in the past and adding more value to the finance and accounting process by providing insight and perspective to the reported facts. Finance departments are still spending an inordinate amount of time and effort on the mechanics of day-to-day operations and this doesn’t add strategic value. A major reason for this continued focus on the mechanics of finance and accounting is that relatively few companies use all available technologies to support more effective approaches to fulfilling the finance function. Simple mechanisms like integrating Excel with SAP fall into this category and this is one of the most common scenarios that we see with Finance customers with Winshuttle products. Posting activity like manual journals from Excel can be quickly implemented at a relatively low cost and without any particular technology skills. 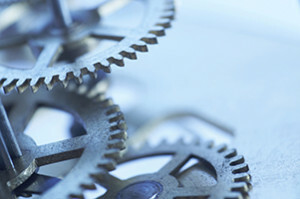 To graduate to the being more of a strategic partner team, the office of the CFO and controllers must look at the IT systems and tools that they are using with a view to making better use of automation and workflow to optimize repetitive tasks like manual journals and accelerate execution of cross-departmental functions like manual journal requests from other parts of the organization through improved collaboration. 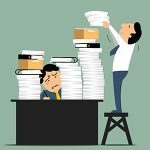 Considering different ways to improve the scorekeeper tasks will free up time and resources so that the finance teams can spend more time on activities that provide higher value like determining if the allocations of things like those manual journals are correct. This leads to the avoidance of rework. Activities like providing more insightful and actionable opinion or more accurate forecasting and planning constitute aspects of finance transformation that finance leaders will aspire to. Finance Transformation is however achieved through a number of initiatives and technology is only one of these. Others to consider are skills and training, documentation and business process and an endemic culture of continuous improvement. Although some of these have monetary costs and monetary benefits it is also important to understand that there are costs and benefits that are non monetary and more importantly do not yield immediate returns. These costs in particular need to be incurred and evaluated and as such measured for performance. A generally understood approach for performance measurement is what is referred to as the six sigma approach. In six sigma companies identify deficiencies in each of the processes that comprise the operations and functioning of organizations. These are then progressively corrected using quality analysis through incremental changes and as the name suggests, this improves operations to a 99.99966% error free level. Because of the progressive and incremental nature of this process and because finance and accounting by its very nature is bound by measurement and historical reporting, it can be used to help in the finance transformation process. Although originally implemented as a tool for optimizing manufacturing and quality, it can be applied just as effectively within a service-oriented division like finance and finance leaders should be aware of this. 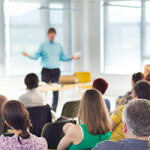 It’s also important to recognize that the nature of finance has special challenges in Six Sigma implementations and those charged with managing Six Sigma in a finance setting will find that specialized training and thought leadership around Key Performance Indicators in particular can significantly enhance the likelihood of success. 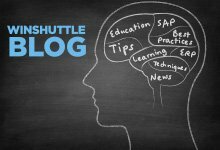 Winshuttle’s comprehensive suite of solutions for the optimization of SAP transactional processes in particular can be leveraged to great effect in assisting with Six Sigma and Finance Transformation initiatives. In particular, the Business Value Assessment service which evaluates the way your business uses SAP transactions can help in understanding which transactions can be obvious candidates for automation and can provide quick efficiency yields.